By defeating Lismore / Portobello on Saturday by 74-0, the Reds 2s have won ALL 18 league matches this season scoring 800 points over the piece – a tremendous performance! 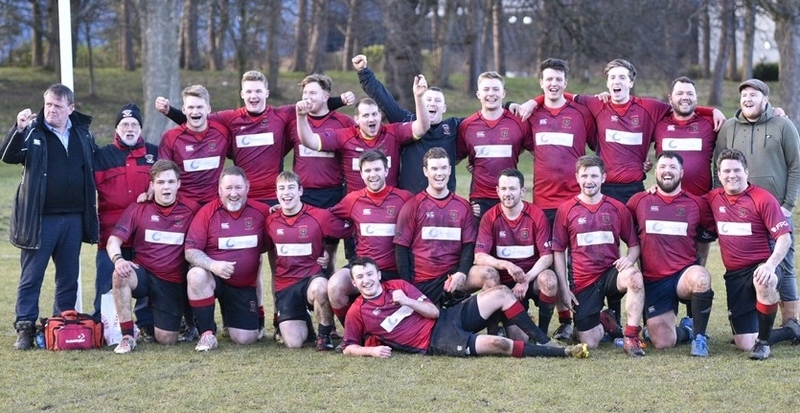 The 2s scored a total of 12 tries, with a hat-trick on the day for Peter Millar. 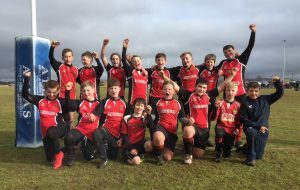 The Reds travelled through to play a resurgent Dunbar team on Saturday and came away with an excellent bonus point win. With two minutes to go they held a 34-13 lead, but let in two late tries to take the gloss off their fine win. There were tries from Cammy Murrie, Mark Caddle and a peach from John Chapman, with the fourth coming from a penalty try. John Strachan kicked 15 points to complete the Reds scoring. The Young Reds u16s had a very good away win to the High School of Dundee winning 45-36. 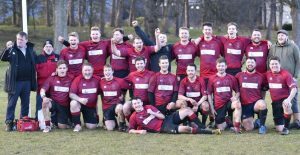 In a game of open free-flowing rugby, Linlithgow managed to play a slightly more territory based game which saw them score 7 tries and kick 5 conversions. Tries – Ruaridh, Liam (2), Michael H, Michael and Matthew (2). Conversions – Struan (3) and Grant (2). The P7s had a cracking day of rugby away to Biggar. 16 players took part and won all 3 games against a resilient Biggar team. With the newer players getting plenty game time, Linlithgow continued their great tackling and support play that has been their trademark this year. We have been working on the ruck in training and the team as a whole was much improved in this area during the games. Still work to do, but really good to see us improving as a team week in week out.